Protect your speed weaponry in transit to the race. The features a thick-skinned nylon cover resists punctures and tears. Includes a removable, adjustable shoulder strap and non-removable padded hand strap. Mesh ID pocket with key clip. Imported. Measures 36 x 28 x 10 (approx.) when loaded. Holds one wheel. Note: This bag is not rated for airline travel. 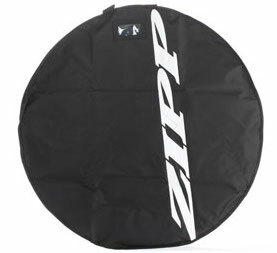 If you choose to fly with this bag, we highly recommend removing the skewers from your wheels and padding the wheels with additional materials.